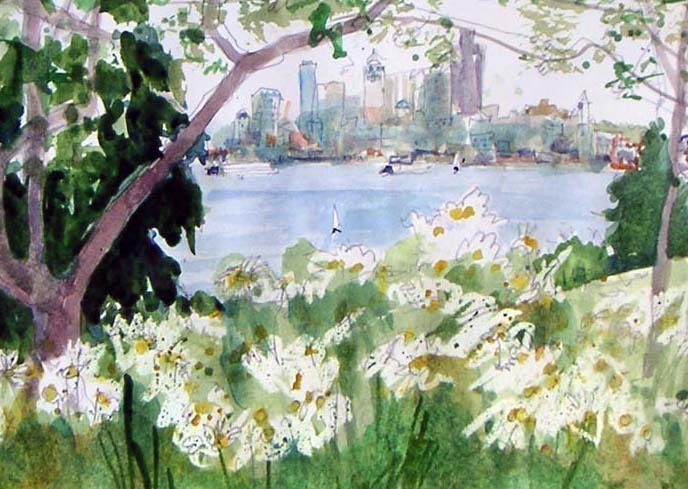 West Seattle has places for urban sketches too! very nice....luv the violets and framing of the view. Such great framing - with a delicate Seattle in the distance. Beautiful! We should have a sketch crawl there!